Not simple as in lacking, stupid, inadequate, unsophisticated, not quite all there. Not that sort of simple, the sense in which the word is often used. A somewhat derogatory meaning. But simple in the way that it is properly used. In Latin, simplex: single, whole, having one ingredient, plain. Simple in the way that mathematicians and philosophers use the word: indivisible, incapable of being splintered—the opposite of diabolical. Innocent, modest, free from ostentation, unmixed. Here is an image of our psychological development. We begin simple and whole in the Garden of Eden. We see the world around us and begin to make judgments. We begin to clothe ourselves with finery (fig leaves) to make ourselves look more and more impressive. 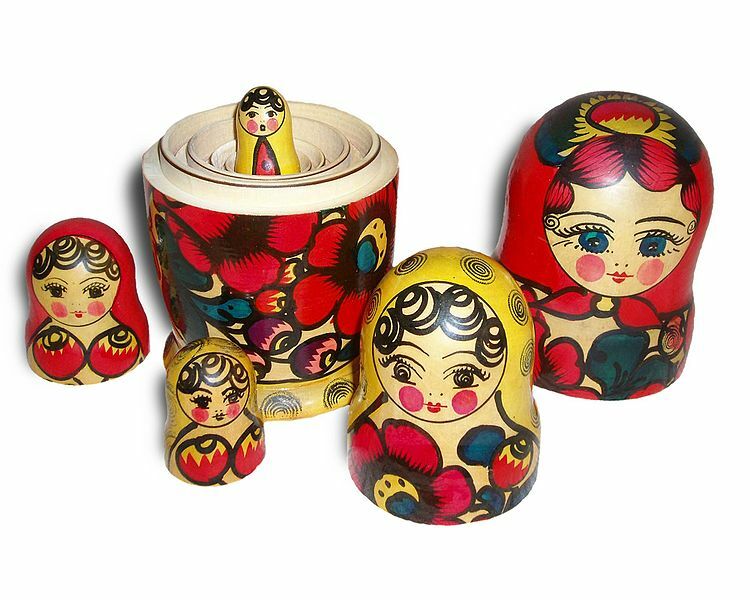 We surround ourselves with layer after layer, like a Matryoshka doll. Each hurt brings more and more scar tissue. We become heavier and more complex, weighed down, more and more rigid, less and less adaptable. There’s more to break down. Like electric gadgets in the car, they’re more difficult and more expensive to fix. The opposite of simple. Simple is a beautiful word. A restful word even. We live in a society where governments and the advertising industry encourage us to indulge ourselves with what we don’t need. The Lotto! How would you deal with winning millions? Go round the world? Buy this and that? Buy posh clothes? Eat and drink fine food and wine? So what? After all this, you are the same you, but now with new sensations behind you. Your quest for new experiences—for that’s what it is—means that it’s now harder for you to experience the same degree of novelty. You need more and more of whatever it is to get the same degree of stimulation. There’s plenty of biological evidence for this: the biology of addiction. The more we have, the more we want. This is greed. It becomes dangerous for the community when we wilfully accumulate so that others are deprived. We possess – a terrible word. We think we are self-sufficient. If we have enough in the barn, we won’t need anyone else. We become lonely and paranoid. Greed shows a lack of love and trust. Psalm 17:10: They are inclosed in their own fat and their mouth speaketh proud things. It seems to me that today’s gospel story is not about renunciation, though there is plenty in Jesus’ message about exactly that. Today’s story seems more about how to cope with good fortune. It’s not about giving it away: it’s about sharing it. By sharing we demonstrate our connectedness, our not being separate. The Good Samaritan shared his wealth. 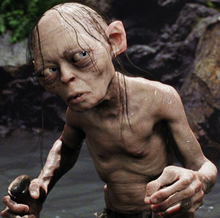 When we keep things to ourselves we become wizened and twisted and consumed, like Gollum. We become being inclosed in our own fat, behind electric gates and security fences. The alternative is to stop trying to accumulate goods and feelings and emotions. Simply exist and enjoy. Simply. Living with trust, directed towards the Divine, reminds us that there’s no point thinking that possessing more and more will make us immortal and invincible. Let’s share what we have—time, talents, money—before it’s too late. That’s what the men in today’s story need to be doing. St Paul recommends that we kill everything that belongs to the earthly life, especially greed, which is like worshipping a false god. To attempt to keep possessions and memories locked ‘in a barn’ is like chasing after wind. Vanity of vanities. We can not recover the feelings we once had, we can not find the same stimulation we once found. All passion spent. This is a great blessing: I can relax. It doesn’t matter what I have or what I’ve done. What matters is who I am and how I share what I am. A rich woman dies. Where there’s a will, there are relatives! How much did she leave? She left everything. In our lives we move from simple to complex and hopefully to simple again. The wisdom of age. Till by turning, turning we come ‘round right.